The use of research materials is free but please keep in mind that, unlike a public library, the Kelley House relies on donations and memberships for its support. Please consider making a donation or joining the Kelley House Museum if you use our research facilities. Researching: To make the most of your time and our small Research Office, appointments are encouragd. Call us at 707-937-5791 or email info@KelleyHouseMuseum.org to make an appointment. Fees apply if we perform the research for you. Donations are encouraged if you use our materials for your own research. Genealogy: The Kelley House research staff is available by appointment to help you research your family history. Using our collections, reference volumes and database, as well as services like Ancestry.com, our knowledgeable staff can help you uncover your past. Searching: Our online catalog has several ways to search for information from a simple search using keywords or browsing random images to a more involved search using search strings. Click here or go to Search Online Collections from the Collections menu. Printing: You can print out many of your searches and images at 15 cents per page. Please note that online images are not high resolution and are for discovery and reference purposes only. Images of appropriate quality are available in various formats, both electronic and print, and may be ordered online or by email. Click here or go to the Purchase Photos image on the Home Page. the Victorian home I own in Mendocino are much appreciated. 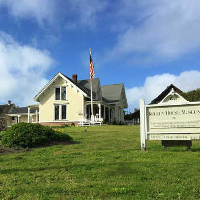 The Kelley House archives are filled with stories of early Mendocino, Little River, Caspar, even stories of Pine Grove, the town that is now only a memory between Russian Gulch and Caspar. We are very lucky to have such a treasure at hand. 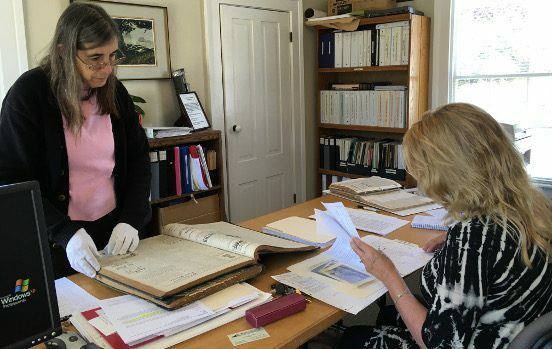 Historic research becomes a pleasure at the Kelley House. Thank you for your help locating this obituary. It provided my father-in-law the information he needs to locate his birth mother whom he has not seen in 70 years!